The brain tumour hub is an easy to navigate database of the brain tumour support and brain tumour advice services available to you nationally. Please click here to view this. The Isle of Man Cancer Service have provided a leaflet which is a Practical Guide to Cancer Services and Support on the Isle of Man. This provides all sorts of information from Diagnosis, what happens next? and any practical concerns you may have. Please click here to view this. There is plenty of support available from the Walton NHS trust and in particular their Patient and Liason Service (PALS). Please click here to visit their website. Brain Tumour UK have set up a facebook group which is very helpful as a discussion for brain tumour sufferers. Please click here to visit this group. Find out more about Brain Tumour UKs neuro-oncology labs and the groundbreaking work their scientists do in the latest issue of Target – Brain Tumour UK’s magazine. Other stories in this issue include inspiring lives and advice on regaining your driving licence. Gerry recently visted Malcolm Sargent House in Ayrshire. The House on the beautiful Ayrshire coast first opened its doors 21 years ago to provide holidays for families with a child suffering from cancer. The Charity joined forces with another major charity Cancer and Leukaemia in Childhood (CLIC) and became CLIC Sargent some years later in 2005. 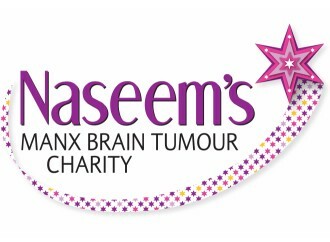 To read more about this and how Naseem's Charity could provide financial assistance for you or a loved one to visit Malcolm Sargent house, please visit the 'Malcolm Sargent' page.